Fintech may have a more profound impact on financial services in Africa than in Europe or the US. This is according to the more than international fintech pioneers who gathered at the Radisson Blu Gautrain, Johannesburg for the Finnovation South Africa 2018 summit. The fintech pioneers who included African digital pioneers, investors, policymakers, entrepreneurs and leading bankers also explored how the major banks and financial institutions in South Africa and across the continent are addressing the digital transformation of financial services; and how their own digital innovations are being shaped and accelerated as a result of the gathering momentum of Fintech disruptors. The opening keynote session focused on collaboration as a key catalyst for success in the digital transformation of financial services and how better aligning the role of Government Policymakers, Incumbent Banks, Fintech Innovators, Investors, Multilateral Agencies and MNOs will drive a positive Eco-System for FinTech in Africa. 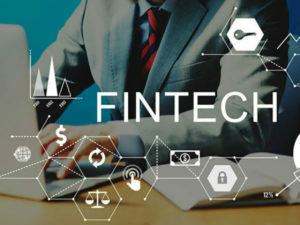 Paul Mitchell, Fintech and Blockchain Lead of PwC South Africa, said “South African financial services players, old and new, are uniquely positioned on a high growth continent to seize the opportunities to create innovative solutions and harness the impact of Fintech in Africa, which could well make a more significant contribution and impact than what we are currently seeing in the US and Europe’’ He said customers’ behaviour, and their expectations around how financial services companies traditionally interact with them, is changing rapidly adding that fintech is accelerating these changes and the established players who recognise this are having to learn fast. ‘’This is leading to a reassessment of many elements of the customer experience and engagement process that will play out over the next few years. Finnovation South Africa 2018 provided a platform to engage with Fintech pioneers and thought leaders to address the most pressing questions for the digital transformation of financial services in South Africa.” he said. Another major highlight of Finnovation South Africa 2018 was the Leader’s Dialogue Live! informal conversational session with an international Fintech pioneer, which presented a unique opportunity to gain a fresh perspective and first-hand insights from a leading innovator. The live interview session featured renowned industry leader Nick Ogden, Executive Chairman of ClearBank, who stressed the innovative potential of fintech in Africa.